Sixth time out of the gate for Jim Korkis is a delight. 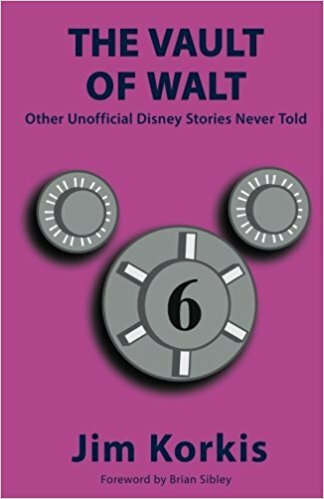 The Vault of Walt 6 is one of the best in the series. While it may not have what you’d think were tantalizing tidbits it has some the best and most satisfying. As long time readers know I am a huge fan of Jim Korkis’ work (see my previous reviews here) and a huge fan of his Vault series. I instantly snap up each and volume as it comes out and I devour them as fast as I can. I do this because Korkis is one of the finest historians, of any sort, I’ve ever run across. The depth of his knowledge and understanding is limitless. When you read something by Korkis you know you aren’t getting a regurgitated fact but something more with the understanding and context of what something means. Jim is telling us this story for a reason beyond filing a page. A case in point is the opening chapter on Abraham Lincoln. In the opening chapter get the story of Walt’s love of Lincoln which took hold in his early days when he would recite the Gettysburg Address in school on traced it how followed through his life to the point where Lincoln appeared at the World’s Fair in 1964 and eventually the Hall of Presidents. In the chapter we get this glorious sense of how Lincoln shaped Disney’s person and sense of justice. Of course there are some other chapters which delight, such as one on Walt and Chaplin- who helped shepherd SNOW WHITE through to completion. There are bits on Disneyland in 1957 and 1967 that are just put the changes happening in the park into wonderful prospective, and a whole history of the Love Bug. Interestingly there is also a killer chapter on Bob Clampett connection to Disney that talks of his connection to Mickey Mouse dolls and his later work on Disney spoofs. Its a fantastic chapter that talks about a lot of things including the in now infamous COAL BLACK AND DE SEBBEN DWARVES which explains the care that studios other than Disney put into their making of aniated shorts. 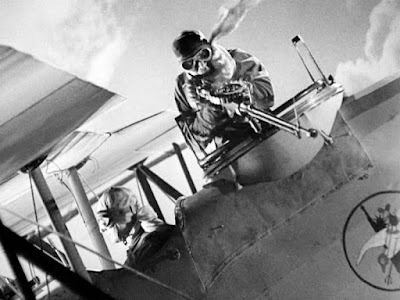 My favorite bit is a tiny piece that mentions that King Kong was killed by planes with Mickey Mouse on their sides because RKO tricked the fliers of Floyd Bennet Field to fly around the EMpire State Building-and their insignia had mickey on it. What can I say this is yet another must read for any Disney fan and more importantly any film fan. The book is available from Theme Park Press, Amazon and other book sellers.